There are some cultural events that we all share, no more so than children’s television. Some shows are aired every few years on weekend mornings so, whatever your age, we all discover and fall in love with them. 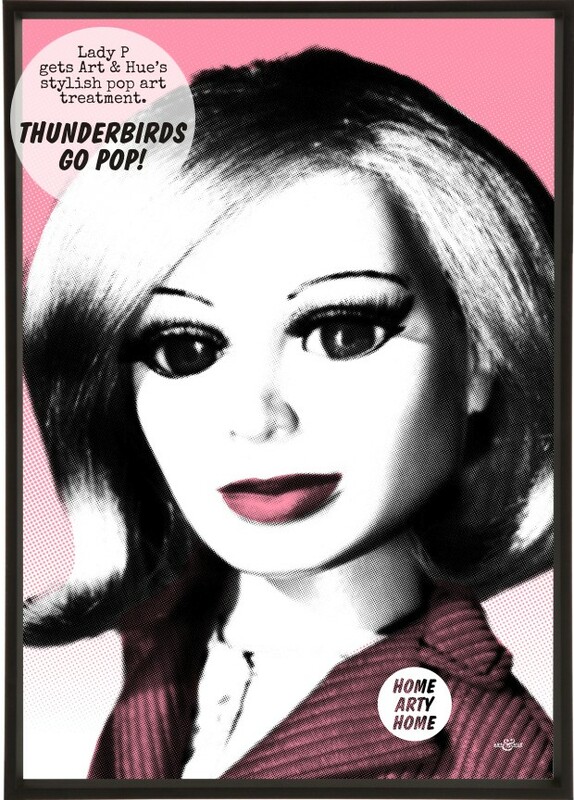 One such show that we’ve all encountered is the supermarionation classic Thunderbirds. Cinematic and innovative, was it just me that thought the high-tech puppets were real people upon first watching as a child? 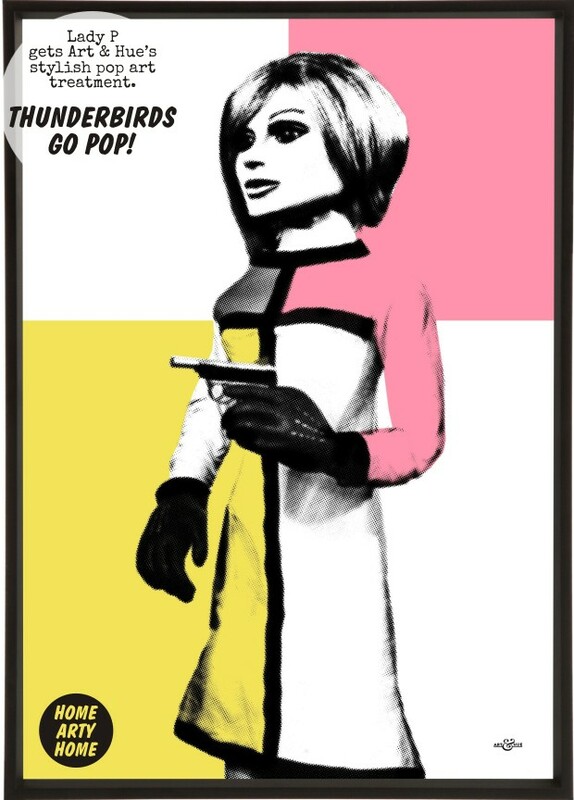 The ideal combination of all things 1960s, Thunderbirds had it all: secret lair with Mid-Century modernist architecture, Julie Christie-lookalike Lady Penelope, spies, action, heroes, and explosions (lots of explosions). The show combined humour, action and style so perfectly it’s no wonder that it still captures the imagination and inspires to this day. 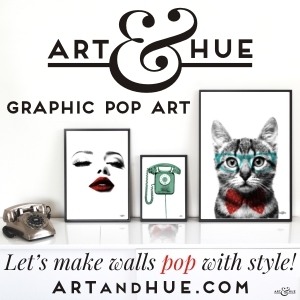 Case in point is the new stylish pop art collection by Art & Hue. 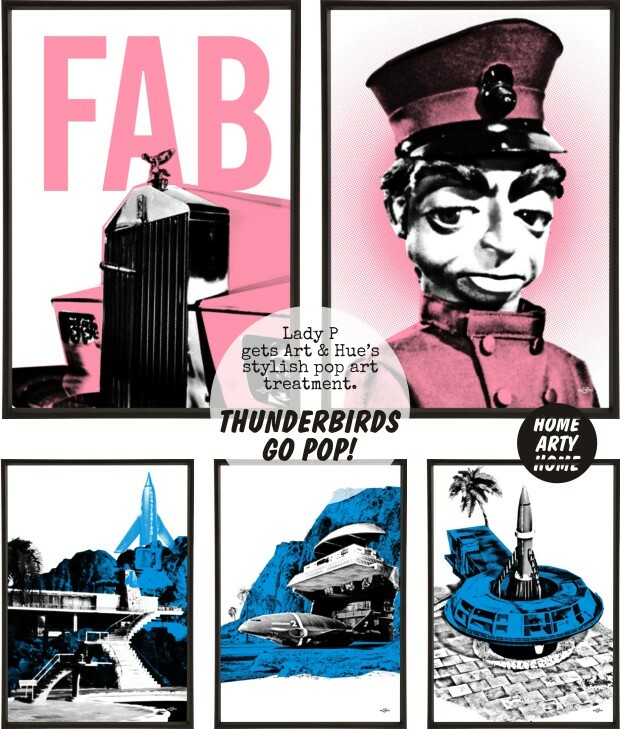 An official collaboration with ITV, the new range of 22 prints based on Thunderbirds has just been released and, to quote the Tracy brothers, it’s F.A.B! If there’s someone more deserving than Lady Penelope who should have a pop art portrait created of themselves, I can’t think of anyone right now. 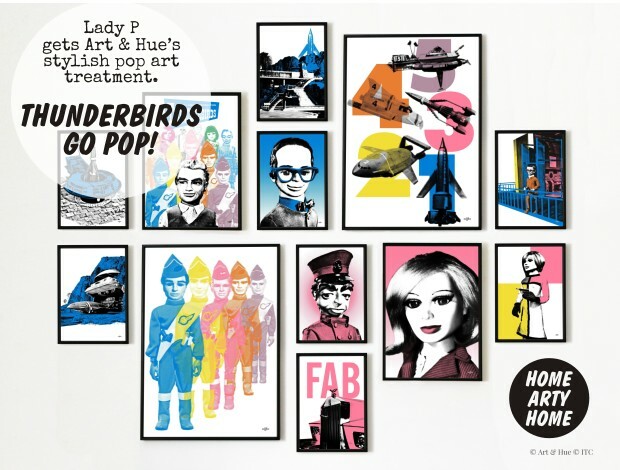 Thankfully there are two in the Art & Hue collection: a beautiful head-shot that highlights the beauty of the supermarionette and a print of Lady P wearing a YSL-style Mondrian dress with colour blocks. 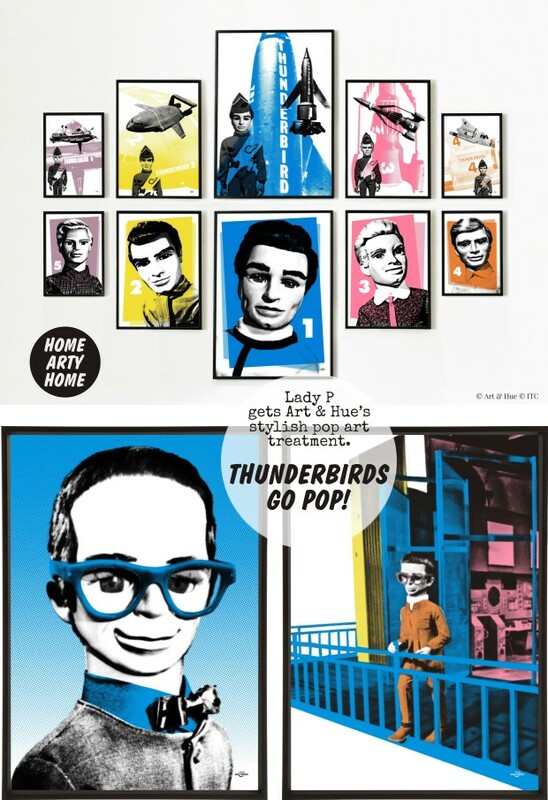 It wouldn’t be the Thunderbirds without Parker and the iconic Rolls-Royce or the famous buildings on Tracy Island from which the crafts emerge. The stylish pop art prints feature the Mid-Century architecture, that looks as if it was designed by Richard Neutra or Frank Lloyd Wright, from which Jeff Tracy and his sons listen out for distress calls to swoop in and save the day. 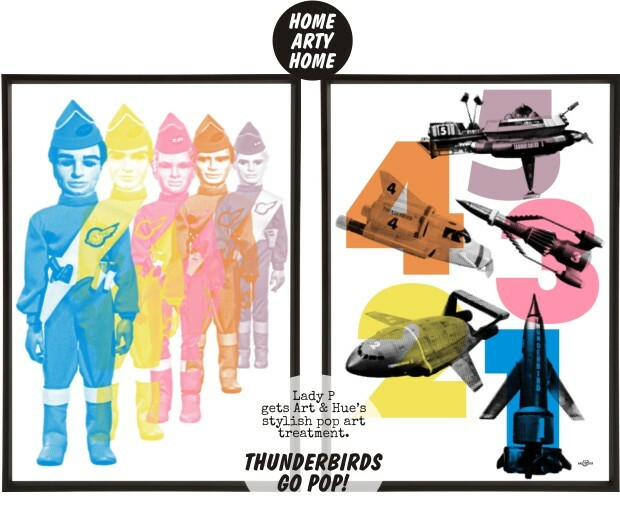 The stylish pop art has been released to mark 50 years since the end of the original Gerry Anderson episodes in 1966 and is available in a choice of 18 colours and 3 sizes, printed on museum-quality archival card of 310gsm, made from 100% cotton, using pigment inks which last lifetimes. 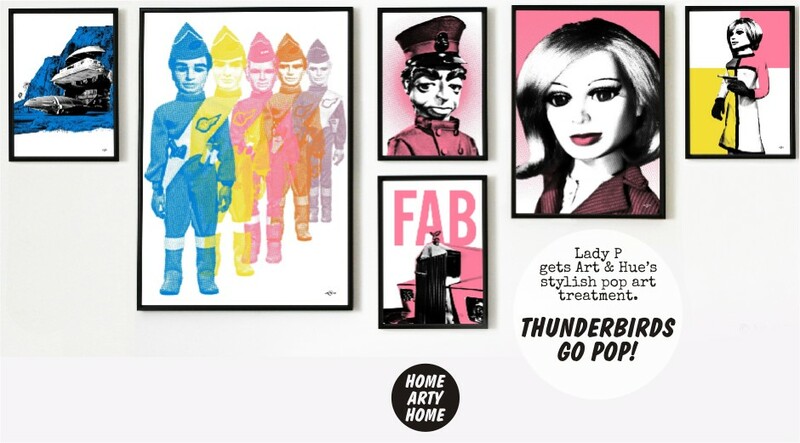 Discover the full collection of Thunderbirds pop art at Art & Hue.